An evening of Dangerous Ideas with the philosopher Slavoj Žižek and polemicist Will Self. Exchanging ideas over todays ideological, political and economic faultlines, from mass migration and geopolitical tension to explosions of populist, ethnic and religious passion, all framed by a global capitalism which seems bent on provoking its own apocalyptic demise. The philosopher Slavoj Žižek has been called the most dangerous thinker in the West, an intellectual activist with a frenzied appetite for big ideas, and for revealing their hidden life inside our everyday concerns. Nothing is safe from his attention, whether Hegel or vampire movies. As a public critic he has been remorselessly critical of liberal democracy, for purveying freedoms which are illusory and complicit with the unfreedoms from which it claims to protect us. With increasing urgency, Zizek would like us to wake up. 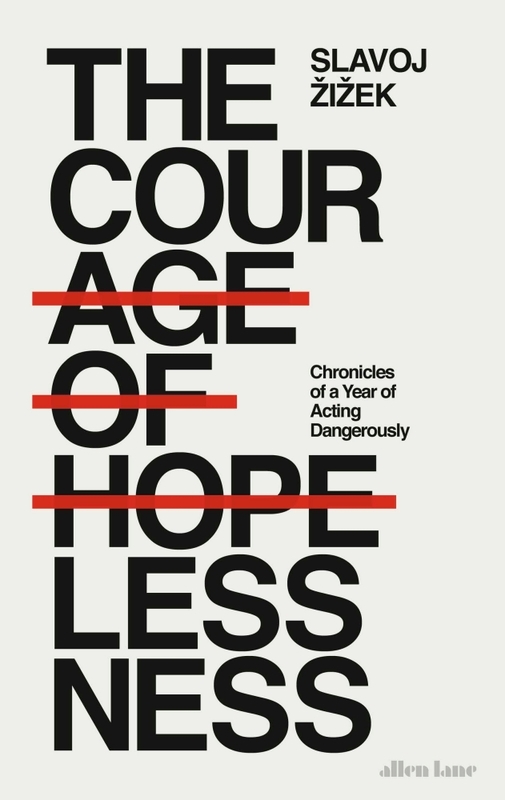 His new book, The Courage of Hopelessness: Chronicles of a Year of Acting Dangerously rides today’s ideological, political and economic faultlines, from mass migration and geopolitical tension to explosions of populist, ethnic and religious passion, all framed by a global capitalism which seems bent on provoking its own apocalyptic demise. 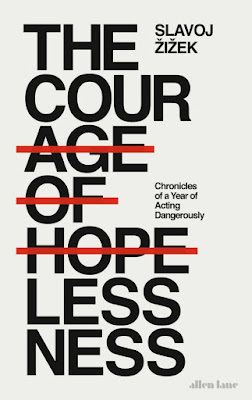 We wait for crisis, and crisis is upon us: ‘True courage is to admit that the light at the end of the tunnel is most likely the headlights of another train approaching from the opposite direction.’ Is there time for radical change before the collision, or is it only through collision that change can come about? In these troubled times, even the most pessimistic diagnosis of our future ends with an uplifting hint that things might not be as bad as all that, that there is light at the end of the tunnel. 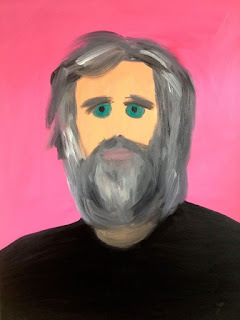 Yet, argues Slavoj Žižek, it is only when we have admit to ourselves that our situation is completely hopeless - that the light at the end of the tunnel is in fact the headlight of a train approaching us from the opposite direction - that fundamental change can be brought about. Will Self is another contrarian who can see a world of contradiction in a grain of sand. He too has argued that our ‘project’ has hit the buffers, and ponders whether there is a way back to the future. 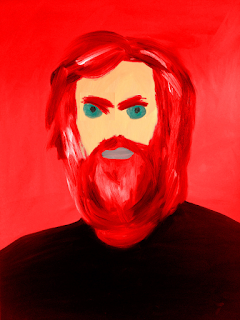 His distinguished body of fiction joins light comedy and heavy thinking, in whose service he has driven the novel to its limits of toleration as a form, while as a critic, broadcaster and provocateur he has wryly claimed that ‘I just want to be misunderstood’. 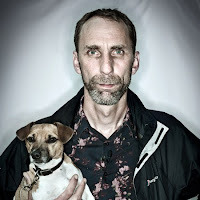 Will Self is the author of eleven novels, latterly Shark and Umbrella, as well as seven short story collections and seven essay collections. He is Professsor of Contemporary Thought at Brunel University. 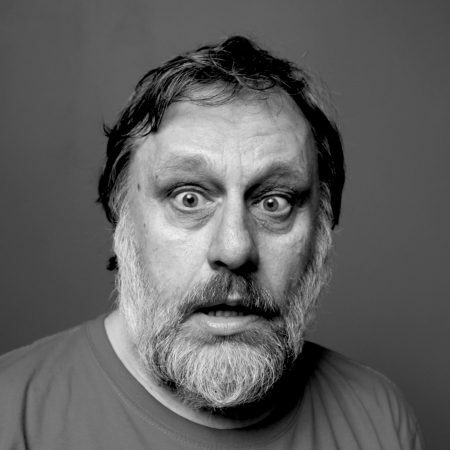 Slavoj Žižek was born in Ljubljana, the capital of Slovenia, in 1949, and spent his formative years living under communism. He is currently International Director of the Birkbeck Institute for the Humanities in London and is the author of over fifty books, with titles like Enjoy Your Symptom!, Welcome to the Desert of the Real, Living in the End Times, In Defense of Lost Causes, Violence and Trouble in Paradise.